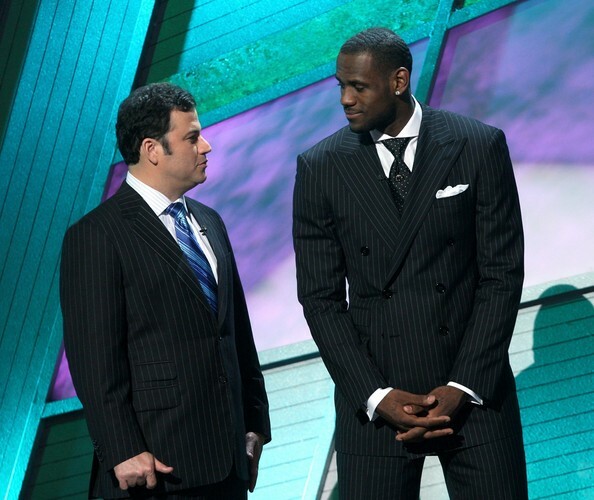 Hosts Jimmy Kimmel (L) and LeBron James onstage during the 2007 ESPY Awards at the Kodak Theatre on July 11, 2007 in Hollywood. *ABC late night host Jimmy Kimmel is being sued by an orthodox Jewish rabbi who claims his image was used without consent in a video segment that poked fun at basketball superstar LeBron James’ free agency hunt last summer, according to the Hollywood Reporter. The plaintiff in the case is Rabbi Dovid Sondik, also known as the “Flying Rabbi,” who has become a YouTube star thanks to his somewhat manic personality. According to a complaint filed in New York Supreme Court, Kimmel in August was trying to make a joke about reports that LeBron James had met with Rabbi Yishayahu Yosef Pinto for business advice. Kimmel claimed that he himself had met with Rabbi Pinto for advice and showed the audience a video of the exchange. Here’s the video clip from Jimmy Kimmel Live. The rabbi shown speaking to Kimmel appears to be Rabbi Sondik, not Rabbi Pinto. Rabbi Sondik is now suing Kimmel and ABC for falsely portraying his voice, picture, and likeness as the voice, picture and likeness of Rabbi Pinto. Sondik claims he was made to “look foolish” and presented as a “laughingstock.” He claims unspecified damages for the alleged misappropriation of likeness. The lawsuit claims the Kimmel show spliced together images of the host in his car with an existing video of Rabbi Sondik that producers probably found on YouTube. 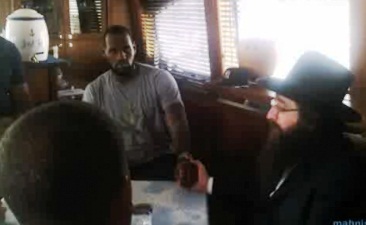 In the same segment, LeBron James is shown meeting with Rabbi Pinto — a clip said to be licensed from TMZ. The plaintiff claims this demonstrates that producers essentially had a double standard — that they knew they needed to license the Rabbi Pinto video but they failed to make any attempt to license the Rabbi Sondik video.